Dr. Marek Bartelik is a Polish-born, New York-based art critic, art historian and poet. He is the current President of the International Association of Art Critics (AICA, 2011-2017) and a former President of AICA USA (2007-2011). After initially training as a civil engineer at Columbia University, he switched subjects, ending up with a PhD in art history from the City University of New York. Bartelik has taught modern and contemporary art at the Cooper Union for the Advancement of Sciences and Art in New York since 1996, is a Visiting Professor at Yale University and Massachusetts Institute of Technology, and was Graduate Critic-in-Residence at the Maryland International College of Art in Baltimore (2004-2012). As a freelance critic, Bartelik has reviewed exhibitions from all over the world for Artforum, as well as contributing to numerous journals, such as Art in America and the Brooklyn Rail and publications in Poland, Sweden, Taiwan, and elsewhere. His major publications include The Sculpture of Ursula von Rydingsvard (New York, 1996, with Dore Ashton and Matti Megged), Early Polish Modern Art (Manchester, UK, 2005), and Mark Rothko (Warsaw), in addition to volumes of poetry in Polish and English. Bartelik has lectured widely, both nationally and internationally, at MoMA, New York, the Polish Academy of Science in Warsaw, the Henry Moore Foundation in Leeds, and museums and institutions as far afield as in Argentina, Brazil, Peru, The Netherlands, Ukraine, Taiwan, and Korea. Professor Juan Cruz is the Dean of the School of Fine Art at the Royal College of Art (RCA). He is an artist whose work employs a broad range of approaches to exhibition-making, including video, performance, text and site-specificity. Prior to joining the RCA, Cruz was Director of Liverpool School of Art and Design at Liverpool John Moores University, where he introduced an innovative model of research and knowledge transfer with leading arts organisations, including Tate Liverpool, Liverpool Biennial and FACT. Cruz is a member of the Tate Liverpool Council, a trustee of the John Moores Liverpool Exhibition Trust and a board member of the Liverpool Biennial. He has played a leading role in Arts Council groups tasked with reaching new understandings about the relationship between HEIs and the cultural sector in the UK, leading to funding for 'Artist's City', a project designed to enhance opportunities for artists in Liverpool through better integration of institutions. Juan was also a trustee of the A Foundation between 2009 and 2011. Under Cruz's leadership, Liverpool School of Art and Design became a partner in 'The Uses of Art', a €2.5-million European project delivered in collaboration with 'L'Internationale', a key European museum confederation including MACBA in Barcelona, the Reina Sofia in Madrid, MuKHA in Antwerp, Salt in Istanbul, Van abbemuseum in Eindhoven and Moderna Galerija in Slovenia, as well as other collaborating Institutions including Grizedale Arts, University of Hildelsheim and KASK in Ghent. Dieter von Graffenried is the Publisher of Parkett Magazine, edited out of Zurich and New York. Parkett'smain mission is to engage readers in a direct and meaningful dialogue with artists. Founded in 1984, Parkett has published some one hundred volumes featuring in-depth collaborations with two hundred and forty artists from around the world and some 1400 texts by over eight hundred authors. Thoughtfully written and edited texts are a core element of the publication, and are selectively accessible online in the magazine's signature design. In the past thirty years, von Graffenried has among others initiated and developed museum exhibitions on Parkett and its artists' projects and editions at MoMA, New York, the Whitechapel Gallery, London, Singapore (STPI), Taipei Fine Arts Museum, Seoul (SAC), Beijing (UCCA) and other venues. He was the Co-Chairman of the Swiss Institute in New York from 2000 to 2008. He graduated with a PhD from Bern University with studies in history, economics and law, and advises institutions in art and publishing related matters. 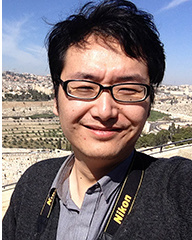 Pi Li is Sigg Senior Curator, M+, Hong Kong, where he was appointed Senior Curator in 2012. Prior to this, he served as the Deputy Executive Director of the Art Administration Department at the Central Academy of Fine Arts (CAFA), where he received a PhD in Art History and Criticism in 2009. Pi Li co-founded the UniversalStudios / Boers-Li Gallery in Beijing in 2005, to support individual creations in the visual arts, design, film and music. Pi has curated different exhibitions, including 'Media City Seoul 2006' at the National Art Museum of Seoul, Korea (2006), ' The Nature of Concept: the Transforming Concept of Chinese Contemporary Art 1987-2006' at the Hubei Art Museum (2007) and 'Super Organism', at the Museum of the Central Academy of Fine Arts, Beijing (2011). He has published articles in magazines such as Art Value, Flash Art and Museum. His most recent exhibitions include 'Right is Wrong: Four Decades of Chinese Art in the M+ Sigg Collection' (co-curated with Lars Nittve and Katarina Pierre, Bildmuseet Umea, Sweden). Yongwoo Lee, who was born in Seoul, Korea, is an art historian, critic and curator, whose main area of interest is contemporary art criticism, with a focus on media art. He was the founding director of the Gwangju Biennale, established in 1995 and served as president of the Gwangju Biennale Foundation from 2008 to 2014. He was a professor of visual culture and aesthetics at the Korea University in Seoul until 1998, since which time he has devoted most of his attention to writing and curatorial activities. In 1995, Lee was Korean commissioner for the Venice Biennale's special exhibition, 'Tiger's Tail' (1995), and in 2001 he curated 'Electronic Maple', the inaugural exhibition at the New York Center for Media Arts. His publications include The Origins of Video Art (Oxford University, 1998), and he is the author of a number of essays on the video art of Nam June Paik. 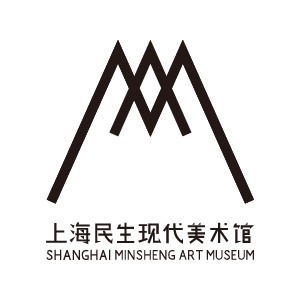 He was the founding President of the International Biennial Association (since 2014) and takes up a new post as Director of the Himalayas Museum, Shanghai, in June 2015. In 2015 he was a member of the International Jury at the 56th Venice International Art Biennale and curator of a collateral exhibition of Korean monochrome art, Dansaekhwa. 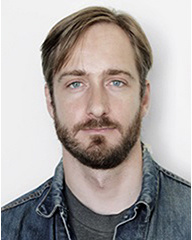 David Balzer currently resides in Toronto. In addition to writing and editing, he has worked as a secondary and postsecondary teacher and tutor for many years. Balzer has written about art and culture for numerous publications, nationally and internationally, among them The Guardian, The Globe and Mail, Artforum,Toronto Life, The Believer, and Modern Painters. Balzer has worked in an editorial/publishing capacity for TorStar, TIFF and others, in addition to his five years at the Canadian Art Foundation as Associate Editor and, now, as Editor-in-Chief. He has contributed to monographic publications on artists such as Michaël Borremans, Janet Werner and Margaux Williamson, and has lectured at universities and colleges across Canada and elsewhere. Balzer has written two books, a short-fiction collection called Contrivances and the recent critical study Curationism: How Curating Took Over the Art World and Everything Else. Zhang Wei is a scholar, curator and artist. He is a visiting scholar of CityU MFACM. He has a Bachelor Degree in Building Automation Engineering, a Master Degree in Philosophy, and is currently a PhD Candidate of CAA Inter-media school on Curation. He has published a number of articles on culture criticism and art theory in many Chinese journals. His publications include Culture Criticism: The Theories and Practice of Cultural Philosophy (with others), Map of Culture in the 20th Century, and The Boundary of Contemporary Art (to be published). 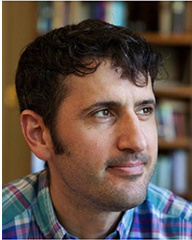 Andrew Weiner is Assistant Professor of Art Theory and Criticism in the Department of Art and Art Professions at NYU–Steinhardt. He is currently working on a study of aesthetics and politics in West Germany and Austria during the 1960s. He has published scholarly essays in journals including Grey Room, ARTMargins, and PAJ, and writes regularly on contemporary art for publications including Afterall and TextezurKunst. He received his Ph.D. in Rhetoric from UC-Berkeley in 2011, where he was supported by a Jacob K. Javits fellowship. Before coming to NYU he taught in the Graduate Program in Curatorial Practice at California College of the Arts and in the Prison University Project at San Quentin State Prison. His teaching interests include contemporary aesthetic theory, the history of exhibitions, and artistic research. He is currently editing a collection of texts on the emergence of discursive and research-based exhibition formats.